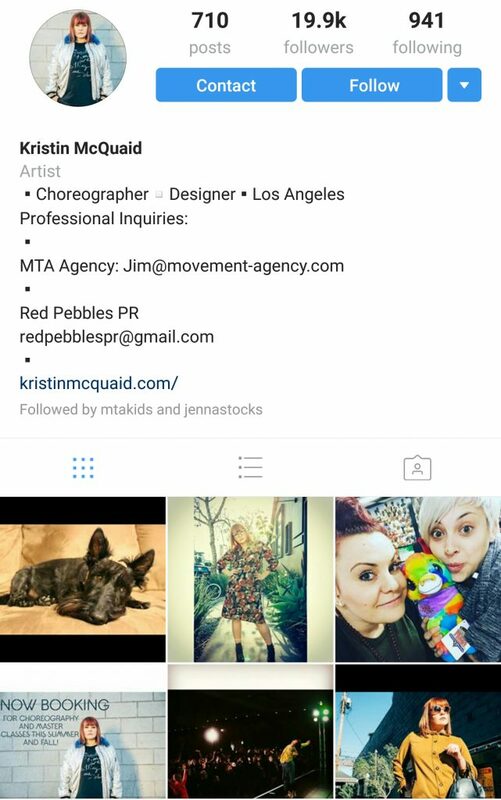 Join us as we celebrate the ambitious and creative, Kristin McQuaid one of today’s hottest choreographers. For more than 15 years, she has wowed audiences as an actor, dancer and choreographer and has just added designer to that list. We hope her words can self-empower you to be all that you desire. Kristin: I was a late bloomer in the world of dance, as I started dancing at the age of 11. I was inspired by music and MTV! MTV used to be the best outlet for aspiring dancers as all they would play were music videos! It was awesome. 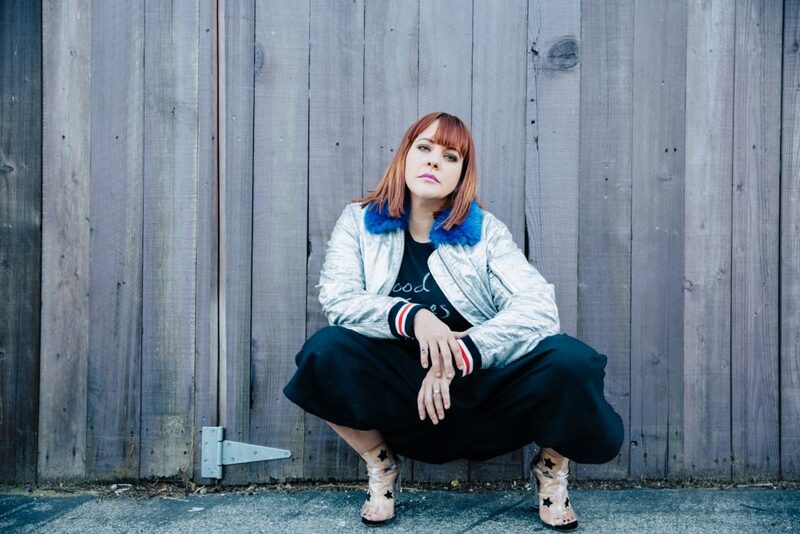 Dance Mogul: With everything going in the world now, how do you stay focused on your passion? Kristin: I am a firm believer of “everything happens for a reason”, so I am always trying to turn situations into a positive. As a choreographer I am using these situations as inspirations for movement and messages that can be delivered in a piece. Dance Mogul: What are some of things that concern you in society today when you think about your future? Kristin: Honestly, I am concerned that we are falling further and further apart as a unit and we should be focusing on being one. I worry that people’s freedom of speech will be effected in the future. I also fear that kids are being so saturated with bad politics on social media. Dance Mogul: How can dance bring about change in today’s society? Kristin: I feel like it already has! I think with the new film LA LA Land coming out, its made a huge impact on the dance community. I think shows like “Dancing with the Stars” and “So You Think You Can Dance” put a positive spin on households that may not understand the world of dance. Everyone can get involved with dance in some way through these new movies and TV shows even If you aren’t dancers. Dance Mogul: February is usually the month where everyone gets serious about the new year, what does it mean for you? Kristin: February means planning. I know everyone was looking for me to say love. ha. February is my month to lock down dates for the year, and make sure I am setting my goals. I am a firm believer in goal setting. So everyone set those goals! Holiday’s are over, the craziness of the new year has come to an end, so February is the start of a new you! Dance Mogul: What are you currently working for 2017? Dance Mogul: As a dancer what can you say dancers need at this very moment in time to help them be successful? Kristin: To be themselves! Be a trendsetter not a trend follower. Dance Mogul: What advice do you have for younger dancers coming up behind you? Kristin: To train in all styles of dance. Don’t just take classes that you feel comfortable in. Those classes won’t make you any better than you already are. You should be in classes that make you frustrated and make you have to think. I would also suggest getting in acting classes. I feel like getting that deeper layer behind the meaning of dance will only help the dancer and their performance. Dance Mogul: How important is mentorship to a dancer? Kristin: It is very important to have a strong mentor in your life. I mentor several dancers right now and it helps them stay on track. We talk about setting short and long term goals. If they are having a bad day or just want to share a great experience they had, they have someone to share it with that understands dance. Having someone to talk to that understands dance is always best. So find a good mentor, even if its your studio teacher! Dance Mogul: Is there anyone you would like thank for helping you on your journey thus far? Kristin: I would like to thank God first, I believe we were all given a plan and I love this journey he has for me. I would like to also thank Michelle Latimer, my first dance teacher. Without her I don’t think I would have known what being a professional dancer was. I would like to thank my agent, Jim Keith at the Movement Agency for always trusting in me. My Mom, for always being there to listen and loving me. Lastly, my husband for being the best support system and believing in my every move. WOW, I felt like I just accepted an Emmy, that was awesome.